The Rapture is nigh, so sadly this will be the final Fan Art Friday. Final Friday, period, really… poor Rebecca Black, poor everyone! To commemorate this solemn event and bring a little more joy to you in your final day, this post will feature a few slightly more risqué pieces from Japan, in addition to our usual fare. It has been a pleasure serving you, dear reader. Now, let us all face our impending doom together! This piece is by none other than the character designer of the Witchblade anime, Uno Makoto. As fans, the art team is truly honored – you brought much happiness to their final days. This… voluptuous piece by Pixiv’s Toudori is… colorful… and stuff? Gaze upon it verily before the coming apocalypse. 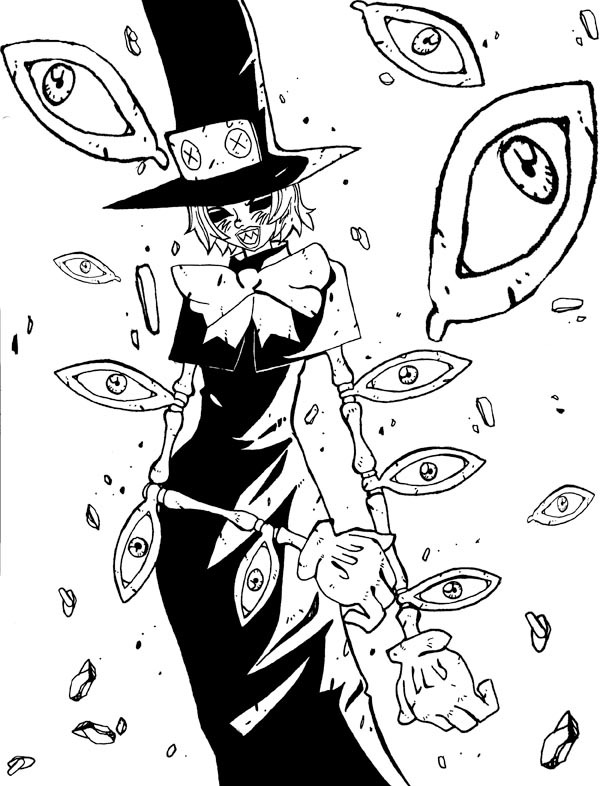 This wonderfully creepy image of Peacock comes courtesy of Rebis. Is this what the forces of hell will look like once the tribulations begin? Akuuu drew this great portrait of Parasoul, resting between battles. And patiently waiting for the end times to begin, no doubt. This fantastic piece by Charapoo is “official fan art” from a former clean-up artist. At 6 PM PST tomorrow, I suppose all clean-up artists will be former clean-up artists… how unfortunate. 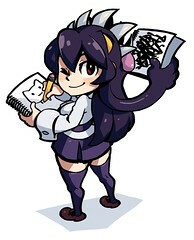 Got a hi-res (larger scale) version of Uno Makoto’s Filia fan art?